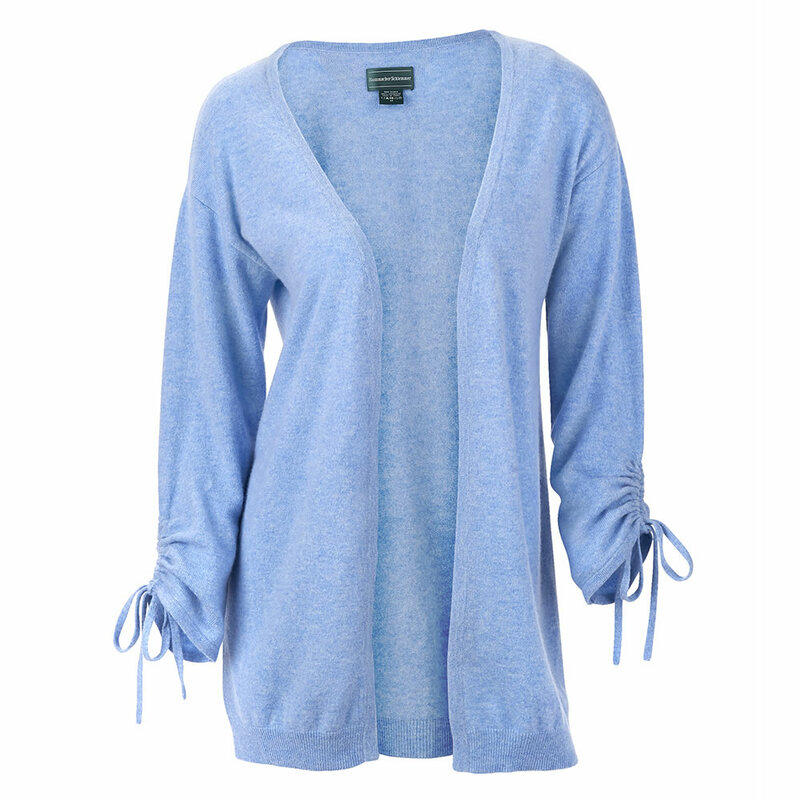 Developed exclusively for Hammacher Schlemmer and luxuriously soft yet practical for everyday wear, this is the lady’s cardigan sweater made entirely from washable cashmere. Hand-combed from the fine, downy undercoat of Mongolian Cashmere goats, the fibers used in this garment undergo a proprietary, non-toxic treatment that allows them to withstand repeated washing without shrinking, eliminating the expense and inconvenience of dry cleaning. The lightweight, buttonless open cardigan has ties for ruched style sleeves and can be worn as a layering piece during the winter or as outerwear in cool fall or spring temperatures. Imported. Light Blue. S (30 3/4"-long), M (31 1/4"), L (31 3/4"). Body Length 30 3/4" 31 1/4" 31 3/4"
The Lightweight Washable Cashmere Ruched Cardigan comes with The Hammacher Schlemmer Lifetime Guarantee. Items that we sell are guaranteed for their normal life under standard non-commercial use.